KittyKonnect is a lunchtime networking group based in Norwich. On the first (ish) Friday of every other month, we meet at the Louis Marchesi, Tombland, Norwich, promoting a relaxed, friendly networking atmosphere. No pressure, just great company and business opportunities with a drink in your hand. Networking has never been easier and more enjoyable! This is exactly what makes KittyKonnect different from the rest. Simply register your attendance, submit your 30 words via this site, turn up, sit back and let our host introduce YOU to the room. Everyone knows who YOU are, what you do AND you know who everyone else is and what they do. With all the formalities out the way, you can network afterwards and get straight down to business! Each KittyKonnect meeting ‘spotlights‘ a different business. They will sponsor the event and pay for the venue and food. This means our networking sessions are completely FREE for you, the guests! After the introductions and 30 words, the ‘spotlight’ business will perform a 10 minute presentation to promote their business. This is a great opportunity to showcase them, their business and it’s unique selling points. For more information on how you can put your business in the KittyKonnect ‘spotlight’, please fill in the form at the bottom of the page. A member of the team will then be in touch with more details on costs and the benefits. So if you want to #getkonnected, make KittyKonnect your number one choice networking event! Offering Printing and Copying Services for Norwich and the Surrounding Areas. 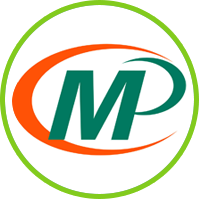 Join us for a 10 minute presentation on what Minuteman Press can do for your business and find out about their newly installed digital press. © 2019 KittyKonnect. All Rights Reserved. Click here to read our Terms & Conditions.